When you were a kid, a little soft music was probably the best trick your parents used to get you to sleep. Now, a new smart pillow is bringing the lullaby back into your life in the coolest way possible. 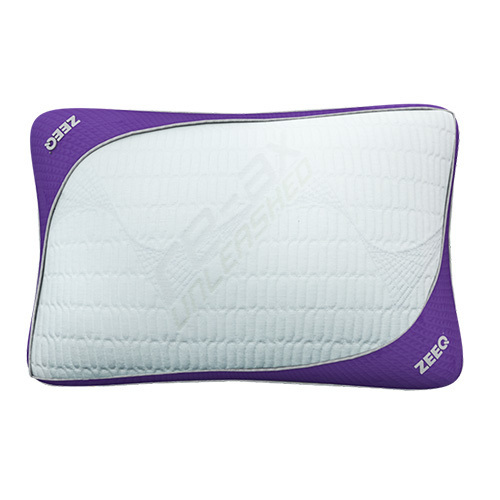 Zeeq, perhaps the world's first-ever smart pillow, can "play music to help you fall asleep, monitor and react to your snoring, analyze your sleep and intelligently wake you up," says the brand's Kickstarter page. The pillow is embedded with multiple sensors to track movement and eight different speakers that sync to your phone's playlists or one of the pillow's preset lullaby lists. And the best part? It plays at just the right volume to surround you with sound but without bothering your bed buddy. Zeeq also measures factors like your sleep duration and quality, helping you optimize your sleep patterns. It will even tell you if you snore and if so, it will gently vibrate to get you to cut it out before you wake your bedmate up, too.